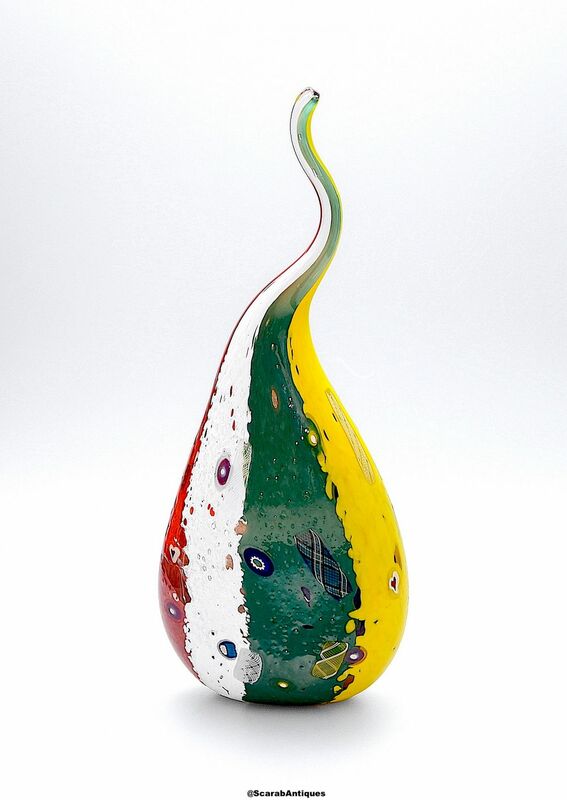 This fantastic vase is known as "Rio" and was made by Michael Hunter for Twists Glass in 2018. It is a flat ovoid shape with a pulled spiralling top. 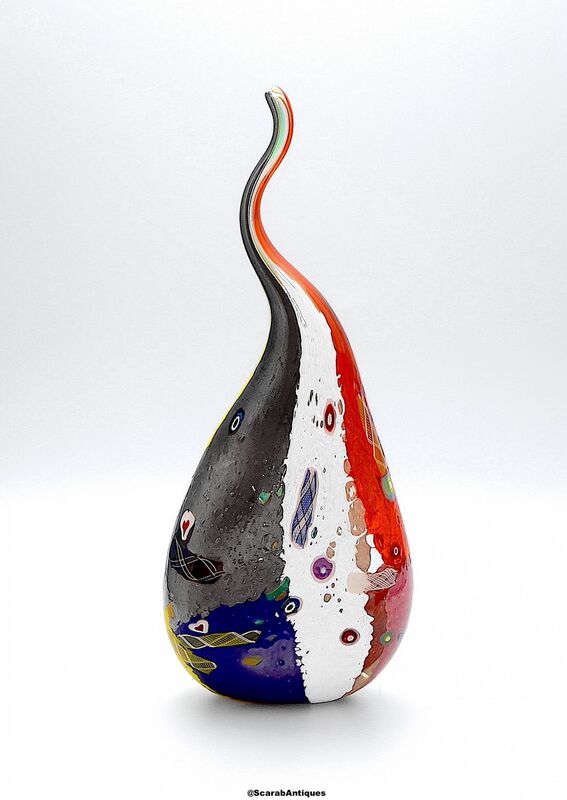 It has a multi coloured overlay with zanfirico and murrine canes of various colour combinations laid into the glass. A very distinctive and unusual piece. Scratch signed "M Hunter Twists 18" it also has the Twists Glass studio label.